Keep your mind and body relaxed and your hands well exercised with our range of stress toys. They make great office toys, home toys and are fun for all ages. Stress toys are ideal to get you through those rough days when everything is going wrong. Our little cow makes a perfect stress toy. She is cute and adorable and will keep her shape no matter how much you squeeze her. Made from a soft pliable material, she features a classic cow-hide pattern in light and dark shades. Her ears and nose contrast in a bright colour and two little eyes look out at the world. She stands on four dark feet and is sure to find a soft spot in your heart. 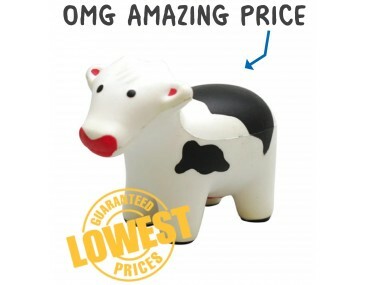 Keep the little cow on your office desk, kitchen work top or in the car. You will add a fun vibe to your marketing campaign when you brand these little cows with your company logo and hand them out at expos, shows and product launches. Companies in the dairy, meat and farming sectors will find them to be very relevant. Talk to us about branding, our listed price includes branding of your logo or graphic in a single colour print onto the cow. Displayed prices on this website exclude GST. We offer a product turnaround time of two weeks, but we can offer even faster turnaround times for urgent orders. Please note that our prices exclude GST and a print set up of $75 applies. 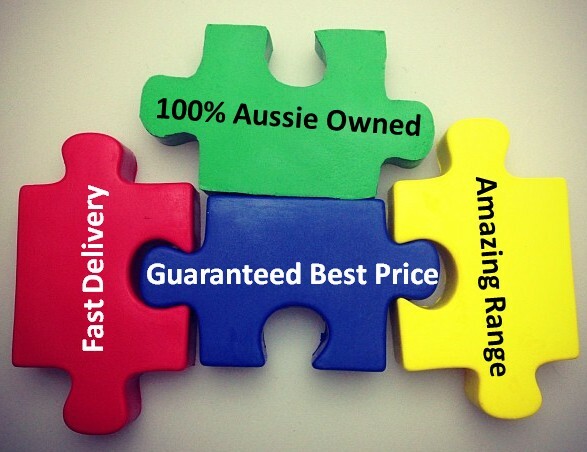 This product supplied in bulk quantities and is available for delivery within Australia only.